GLO President Klaus F. Zimmermann on: Why we need global scientific policy advice. GLO President Klaus F. Zimmermann on: Why we need global scientific policy advice. GLO President Klaus F. Zimmermann on: Why we need global scientific policy advice. Evidence-free policy making is on the move. This is a particular challenge for the relationship between scientists and policymakers. A workshop with a high-ranked panel of scientists in Budapest engaged in policy advice and policy-making will debate this in the face of the ongoing debate about the future of the Central European University (CEU). The open event takes place on September 6, 2017 on the premises of CEU. The issue is also debated during the Academia Europaea 29th Annual Conference 2017 in the Hungarian Academy of Sciences, Budapest, on Tuesday September 4-6, 2017. Academia Europaea (AE) is the Academy of Europe. Klaus F. Zimmermann (UNU-MERIT, Maastricht & Bonn University) is President of the Global Labor Organization (GLO) and Member of the AE. 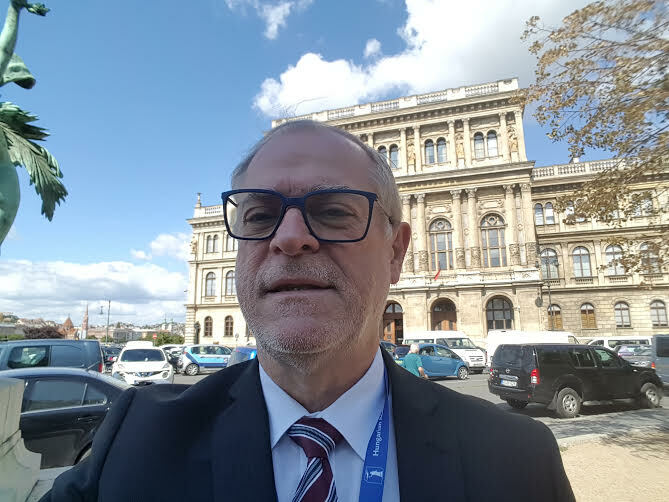 The AE Council of Academia Europaea has just confirmed his position as Chair of the AE Section “Economics, Business and Management Sciences”. “Scientific research does not have to follow socio-political concerns, but it is often inspired by practical challenges. While science cannot help policymakers in cases where hard evidence and convincing findings are lacking, both sides should nonetheless engage in evidence-based policy advice. National and international labor market policies provide a number of good examples how this concept can work. The concept has, however, come more under pressure in recent years leading to an age of evidence-free policy making at a time when fake-news became fashionable. The world has learned a lot from the evidence-based policy making of the successful German labor market reforms. This has been a great step forward. On the other hand, many in Europe still fear the economic and social consequences of open and mobile labor markets – despite the proven success of EU enlargement and the available evidence from numerous international migration studies. Unfortunately, the new refugee issue has led people to increasingly ignore such findings after 2015. But even though the success and the potential of evidence-based policy advice have been widely shown, the concept is subject to criticism from various sides. The necessary independence cannot be guaranteed, a common arguments goes. From this point of view, any policy recommendations are ultimately driven by political and economic interests and dependencies. This allegation is an attack on the scientist’s professional ethos, which includes compliance with the principles of good scientific practice, the pursuit of robust findings, and the impartial communication of these findings. New ethics codes, which the profession has recently adopted, ensure that these principles are upheld. While good science is always global, some claim that good policy advice must be primarily national in scope. To be sure, national contexts and institutional differences are relevant for a policy advisor. But the increasing global interdependence leaves no room for provincial strategies. For highly open economies like Germany, policy is no longer national. Since globally oriented science ensures the competitiveness of national policy advisors, the quality of German policy advice would be threatened if it were to concentrate on national peculiarities alone. Evidence-based policy advice, moreover, requires a combination of research and advice: The researcher also acts as an advisor, while the advisor also conducts research. In Germany, the Science Council and other scientific organizations have always stressed the need for this dual role, and the Academies of Science have been practicing it worldwide. Opponents of this concept claim that the dirty business of policy making only keeps scientists from doing good research. Likewise, the demands of policymakers are better met, according to the argument, if they free themselves from the constraints of seeking science-based advice. Revised version of an op-ed of Zimmermann published in IZA Compact 4/2015, p. 16, and on the website of the Academia Europaea, The Academy of Europe.